Why Is Windows 9 Called Windows 10? Tuesday’s introduction of Windows 10 has pretty much everyone in the tech stratosphere discussing the reasoning behind the decision to miss out Windows 9. The majority of pundits and technology analysts involved in keeping abreast of Microsoft news were pretty sure that the company would release an all-singing, all-dancing product that would make the usual evolutionary jump up the naming ladder from Windows 8 to Windows 9. Alas, that was not to be the case, but why you ask? According to one Reddit user, a piece of common code found in a large set of third-party apps could provide us with an answer to that problem. Microsoft is obviously taking the most professional high-road on why it decided to leap over Windows 9 and go directly to a proud “10” release with its new and improved software. According to the makers of Windows, the new version of the iconic operating system contains such a vast array of changes and feature improvements that calling it Windows 9 didn’t feel like it was doing the improvements justice. When released, Windows 10 will also be built natively to seamlessly support desktops, smartphones and tablets making it the most versatile version of Windows to date. Basically, if Microsoft called the product Windows 9, and an app hits that code block then it would execute a set of instructions intended for use on legacy versions of the operating system, namely Windows 95 or 98. Of course, that’s only if the speculation is true, which we’re unsure of at this end. This is one of those things that we could never quite know the truth behind. 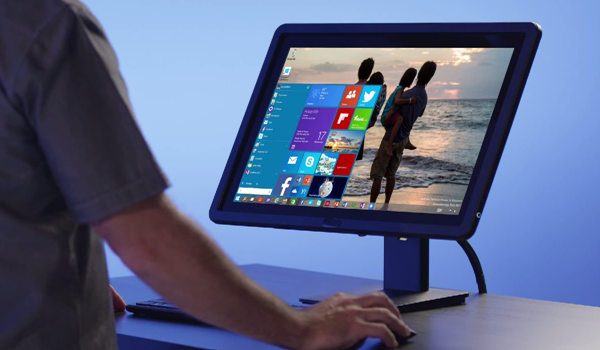 Microsoft is clearly happy with Windows 10, and so are we. Microsoft gets knocked for changing crap from time to time but they make a strong effort to look out for backwards compatibility. This is another example. Windows X 10.10 Yosemite then?